The Internal Revenue Service seized $107,702 in company profits from Lyndon McLellan just because agents didn’t like the size of the convenience store owner’s bank deposits. If a bipartisan proposal before Congress had been the law of the land, though, the IRS could not have justified the money grab. Countless Americans like McLellan, who never intended to commit a crime, will avoid his heartache—and that of thousands of others—if Congress acts to curb the ability of law enforcement agencies to seize individuals’ money and property without even filing a charge. “I’m no politician, but I hope people say they need to change this,” McLellan, a North Carolina resident, said in an interview with The Daily Signal, referring to how the IRS was able to empty his bank account. Changing that is the intent of lawmakers who propose to reform the process known in legal circles as civil asset forfeiture. “Unjust seizures like Lyndon McLellan experienced are exactly why Congress needs to pass the FAIR Act,” @RepWalberg says. Sen. Rand Paul, R-Ky., early this year teamed with Rep. Tim Walberg, R-Mich., to introduce companion bills to severely curtail the practice by the IRS and other federal agencies. Bills from others also are in the offing. In recent days, The Daily Signal has recounted the stories of four Americans—McLellan, Massachusetts motel owner Russ Caswell, and North Carolina business owners Tom and Marla Bednar—who were startled to learn that federal officials had drained their bank accounts. Hundreds of readers reacted with disbelief and anger. Unless Congress acts, authorities can continue to confiscate large amounts of cash from unsuspecting citizens such as a young man from Michigan who was relieved of $16,000 in April by Drug Enforcement Agency agents who boarded the train he was taking to Los Angeles to start a business. Leading the charge for reform is the Institute for Justice, a nonprofit, public interest law firm founded in 1991 and headquartered in Arlington, Va. The institute has helped organize a coalition of two dozen groups ranging from the American Civil Liberties Union on the left to the American Conservative Union Foundation on the right. Most recently the National Federation of Independent Business, which represents small business owners, joined the reformers. An NFIB survey found that an eye-popping 92 percent of small business owners said clear and convincing evidence of a crime should be presented before authorities can seize assets. “People can’t believe that this is going on,” @IJ’s Darpana Sheth says. “They agree that civil forfeiture has become one of the greatest threats not only to our property rights but to due process and basic fairness,” Darpana Sheth, the lawyer in charge of the Institute for Justice’s initiative on the issue, told The Daily Signal. A poll of likely voters last fall by Rasmussen Reports found that 70 percent said a criminal conviction should be necessary before authorities can seize property. Another 13 percent disagreed and 17 percent weren’t certain. The same survey found Americans split on the motivation of law enforcement agencies, with 38 percent saying that it’s more likely they seize property to ensure public safety and 42 percent saying it’s a major revenue source. Another 20 percent were undecided. Most recently, the chairmen of the House and Senate Judiciary Committees have indicated they too will introduce bills to curtail government seizures of cash and property. Non-profit advocacy groups such as the Institute for Justice, however, see the Paul-Walberg legislation—called the Fifth Amendment Integrity Restoration Act, or FAIR Act—as the model for what needs to be done. As stunning stories of abuse pop up around the country, it adds to the growing sense of urgency that legislative action is necessary to protect the American people’s due process and private property rights. Thankfully, lawmakers and organizations across the ideological spectrum recognize this and have joined forces. Civil asset forfeiture is a tool that allows law enforcement to seize cash and property suspected of being related to a crime. The practice began decades ago to go after money launderers and drug dealers, but has become a way to pad law enforcement budgets. Authorities have made more than 55,000 seizures of cash and property worth $3 billion since 2008 under the federal Equitable Sharing Program that allows state and local agencies to take the bulk of the proceeds. Prohibiting the Justice Department and other federal agencies from retaining any assets they obtain through forfeiture. Abolishing the department’s Equitable Sharing Program, under which a local or state agency may keep up to 80 percent of proceeds after referring cases to federal officials. Finally, the bill would require law enforcement to show that merchants or businessmen had criminal intent to avoid scrutiny in making bank deposits under $10,000. The offense of “structuring” involves consistently making deposits of less than $10,000 in cash to avoid reporting requirements for banks aimed at criminals such as drug traffickers. In 2012, the IRS made 639 seizures involving what the agency considered suspicious bank deposits, up from 114 in 2005 for a total of $242 million, according to an Institute for Justice report. The organization also found that the IRS made no claim of criminal activity in a third or more of those cases, other than cash deposits under $10,000, and had to return roughly half of the seized money—indicating the agency could not justify its actions. “Our laws presume you are guilty until you can prove your innocence,” @RandPaul says of seizing assets. The Kentucky Republican said lawmakers have an opportunity “to end an injustice” that “disproportionately affects” blacks, Hispanics and other minorities. 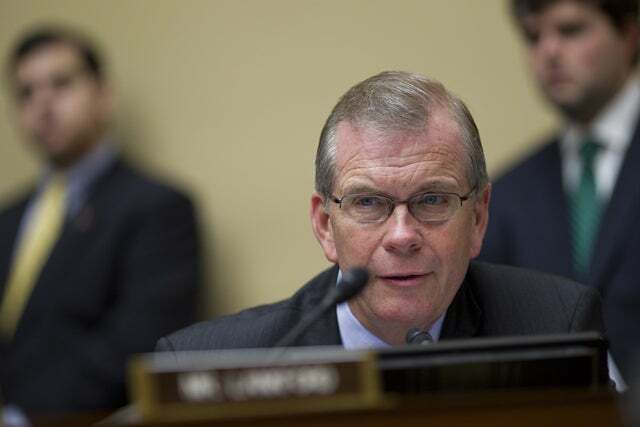 Lead co-sponsors of Walberg’s bill in the House include Reps. Tony Cardenas, D-Calif., Keith Ellison, D-Minn., and Scott Garrett, R-N.J. Paul’s co-sponsors in the Senate include Angus King, Jr., an independent from Maine. In a legal memorandum, Heritage Foundation scholar John Malcolm cites example after example of abuse by law enforcement officials as he outlines the history of a good idea that has been distorted over the years, especially as budgets were squeezed. In 1986, the year after the Justice Department’s Assets Forfeiture Fund was created, it took in $93.7 million in seized money. Twenty years later, annual deposits topped $1 billion, according to figures compiled by the Institute for Justice. In 2014, deposits totaled $4.4 billion, the highest amount in history. Similarly, the Treasury Department’s Forfeiture Fund took in more than $270 million in 2004. Seized cash rose to $1.6 billion in 2013. 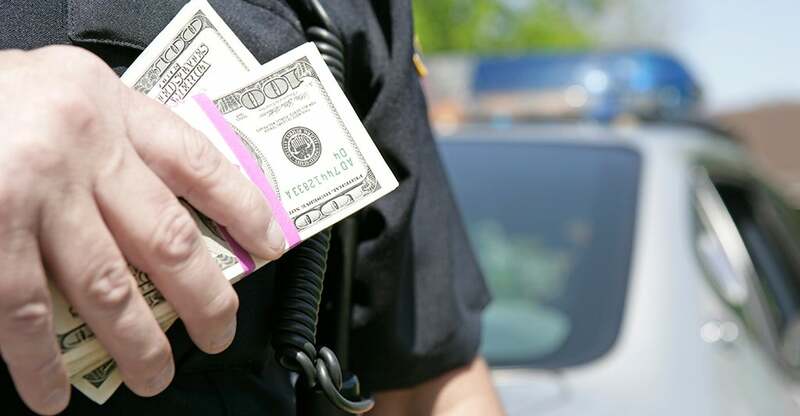 Last year, an investigative series by The Washington Post called “Stop and Seize” found that since 2001, local and state police had seized $2.5 billion in cash from 62,000 individuals without filing warrants or criminal charges. Those who chose to fight the seizures sometimes waited a year or more for the return of their money, the newspaper said. The Fraternal Order of Police, which represents rank-and-file officers, lists civil forfeiture reform among nine bills or proposals it intends to block in the current Congress. “Like any government program, there can be found instances of abuse, and the FOP supports measures to combat such abuses and to improve the integrity of the program,” FOP President Chuck Canterbury testified at the April 15 hearing. The Justice Department and other law enforcement officials call for compromise, the Institute for Justice’s Sheth notes, but allowing the practice to continue in some form actually would be the compromise. Jillian Lane, Paul’s Senate press secretary, said the Paul-Walberg measure—one of a slate of criminal justice reforms proposed by the senator—would not have allowed the IRS to seize McLellan’s company profits. “It’s not fair to the American people who work for a living,” store owner Lyndon McLellan says. Jason Snead, a research associate in Heritage’s Meese Center for Legal and Judicial Studies, told The Daily Signal that law enforcement’s legitimate concerns can be addressed. 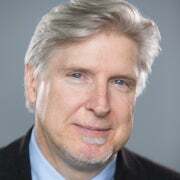 Snead noted that lawmakers in Minnesota, New Mexico, Montana and Washington, D.C., have reformed forfeiture statutes to provide greater legal protections for citizens. More than 20 other state legislatures are considering reform proposals. It can’t be soon enough for Lyndon McLellan. Daily Signal reporter Melissa Quinn contributed to this report.